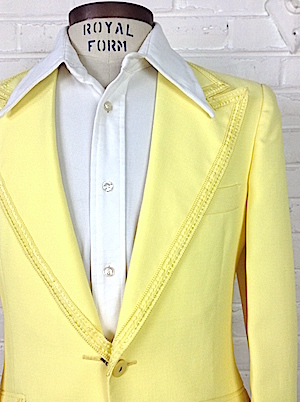 Amazing 1970s men's tuxedo jacket. Awesome bright canary yellow- definitely an eye-catcher. 100% textured polyester. Big peaked lapels. 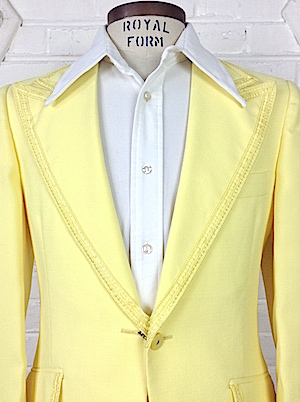 Matching yellow buttons on the cuffs, and closes w/ 1 button in front. 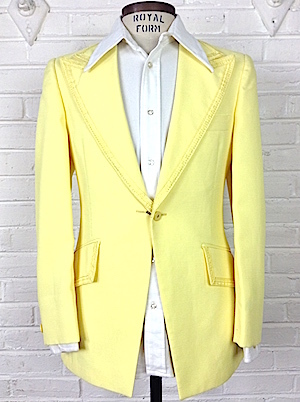 Lapels and pockets are lined with a fancy bright yellow trim. Made by After Six Masters. Shirt & bowtie are not included.